Flag for a New World Power. 2004. Aluminium and Copper Wire. 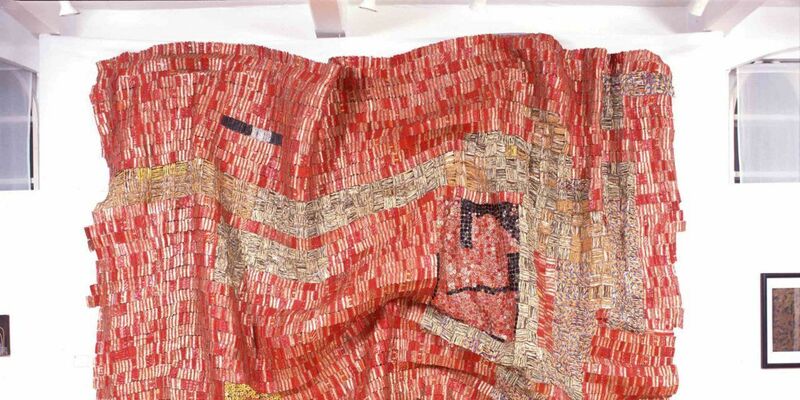 In 2019 Mathaf: Arab Museum of Modern Art will present a wide-ranging survey of the work of the Ghanaian sculptor El Anatsui. Perhaps Africa’s most prominent living artist, the exhibition, the largest and most complex ever mounted on the artist, will cover key strands and artistic concerns in his protean fifty-year career. “El Anatsui: Triumphant Scale” will unfold his unparalleled reworking of the sculptural object, by offering an entirely new understanding of the dialectical relationship between sculpture’s physical presence and its capacity to convey new historical meaning.